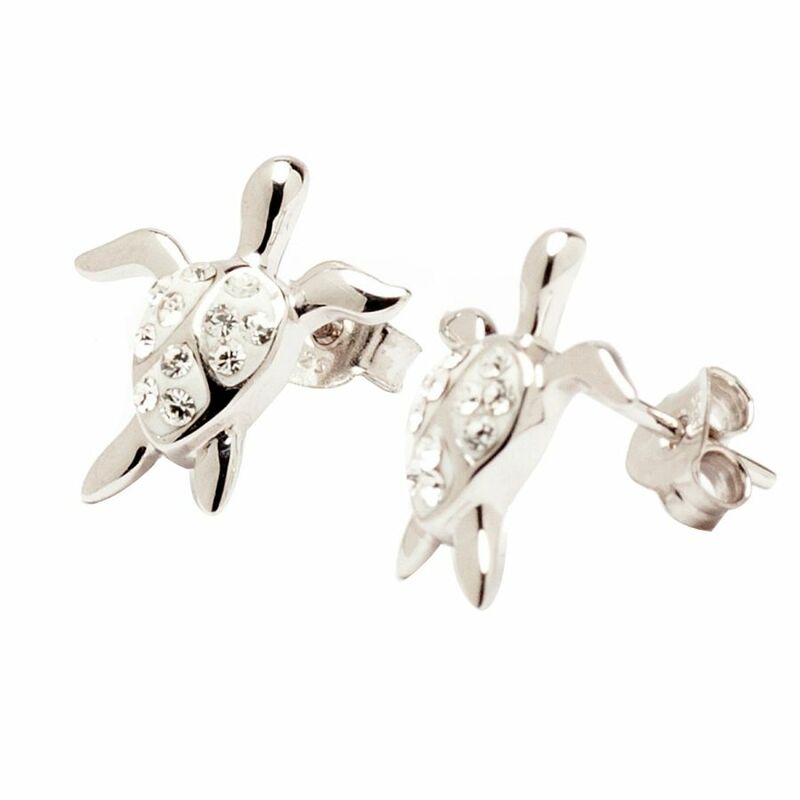 This sleek pair of earrings is made with Swarovski crystals laid in white enamel and high quality sterling silver covering the turtle’s shell. It is a beautiful reminder of sun-filled beach days and memories from the place that has captured your heart. The Turtle signifies finding your way home.